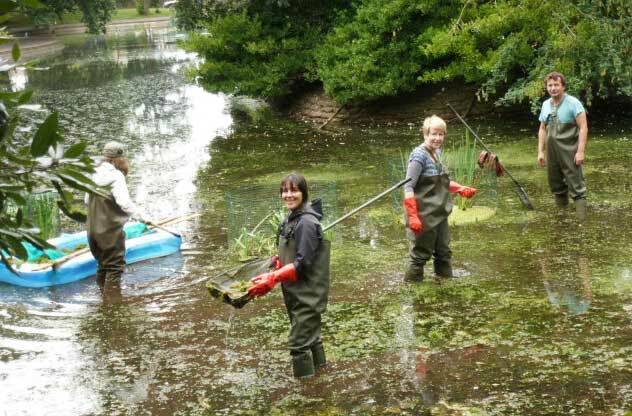 You are invited to join the Friend of Queens Park for two pond maintenance volunteer events in June 2018. Thanks to years of planning and regular volunteer sessions, the pond area is looking lovely. Excessive algae and pond weed have been properly managed and unlike previous years the water is clear. A variety of visitors – including a heron (see below) and a kingfisher – keep twitchers on their toes. For this event, your main task will be lily planting and cage building. Please contact Chris Lowe (chrisalowe@btinternet.com) if you are able to attend. Or, just show up on the day. Equipment (including waders), and expert guidance , will be provided. 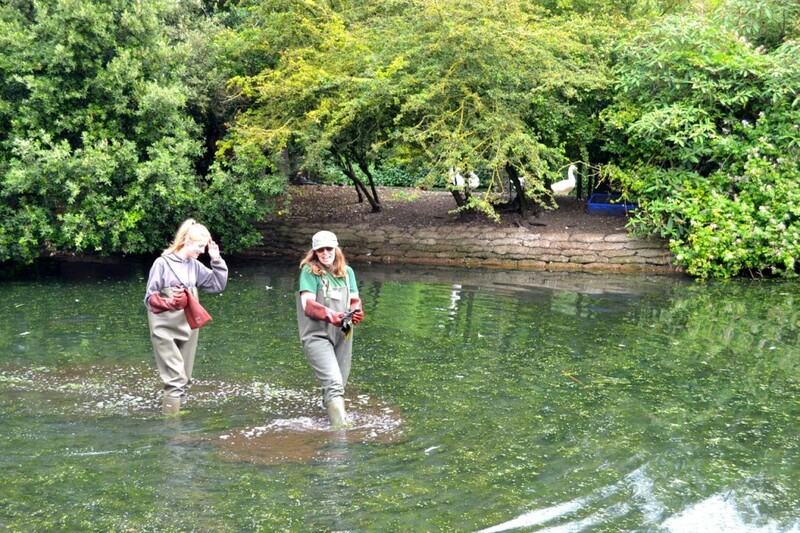 Do you look good in waders? There’s only one way to find out.